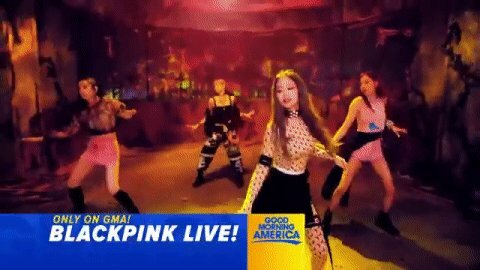 Good Morning America's tweet - "RT if you're as excited as we are to see @ygofficialblink perform! #BLACKPINKonGMA #BLACKPINK 🖤💗 "
RT if you're as excited as we are to see @ygofficialblink perform! we change for hastag #GMAwithBLACKPINK !!! Who cares!! This was over kill. Did anything else happen on Gma this morning?? Sad.